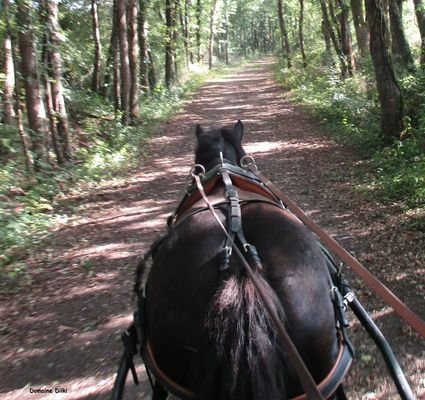 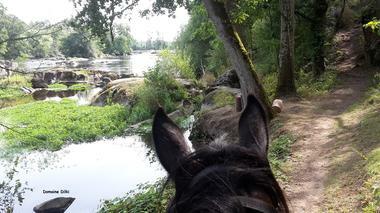 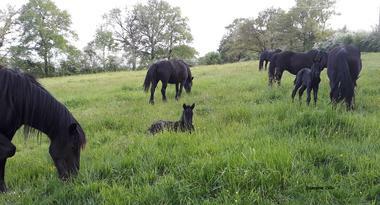 Explore the magnificent landscapes of the Vienne Valley on the back of one of our docile horses. 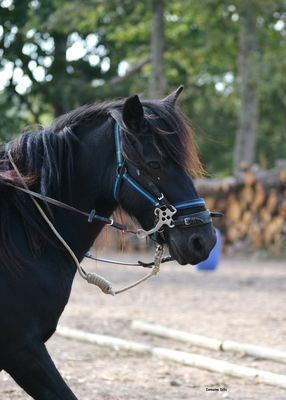 The Dilki Domain invites you to appreciate the special qualities of its Mérens horses. 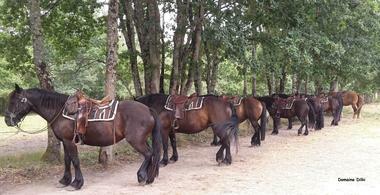 Come and share some special moments with these gentle and docile horses. 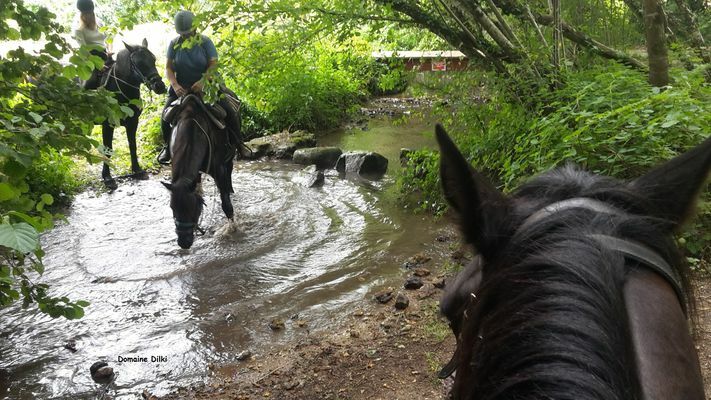 Both beginners and experts can explore the quiet and shady paths of the surrounding countryside with total confidence, on a one, two or three hour ride or on a ride lasting several days. 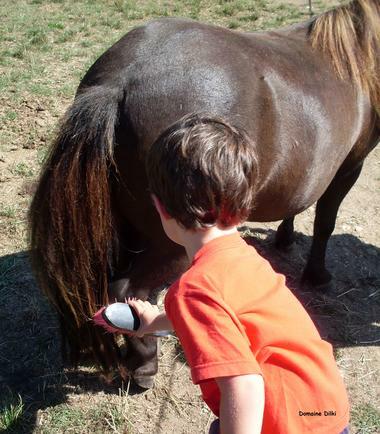 Children can ride on our good-tempered and docile ponies and they will love the pony snack activity! Our saddles offer a certain amount of comfort, but you can choose to ride in a horse-drawn carriage instead. Tips for the Sud-Vienne-Poitou: if you are not a fan of horse-riding, don’t worry. 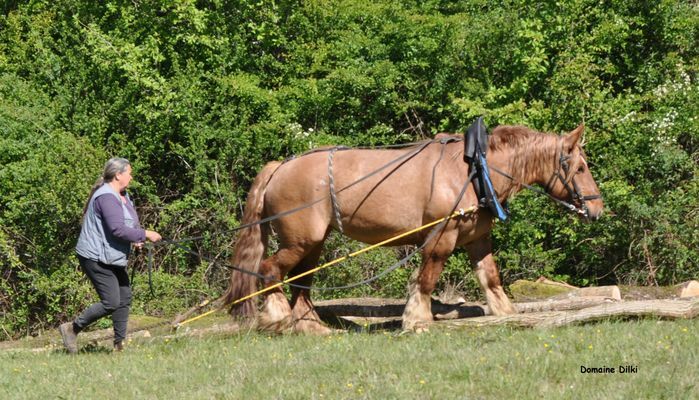 Valérie and Didier also offer tours of the farm by reservation all year round. 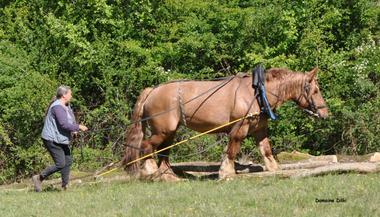 That little extra something : horse rides lasting several days are available throughout the year. 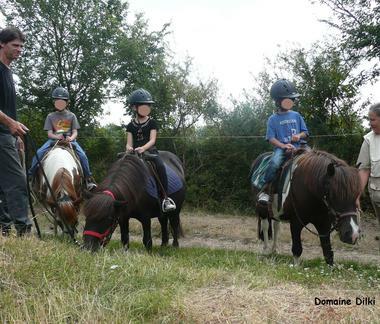 There is no review about Domaine De Dilki, be the first to leave one !